Humans act nothing like animals. Animals are good and kind and don’t kill for sport. 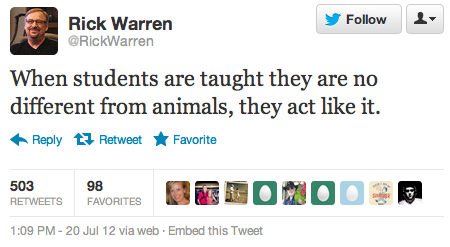 That warren guy has it all backwards. Donny, that’s a nice sentiment but you’re disneyfying your animals here. I’ve had cats who almost never ate what they killed.